The answers to this question will vary depending on your organization’s size, but the core concepts will stay the same. Are you acquiring users fast in hopes of monetizing them later? Are you building a marketplace where supply side and demand side must be kept in equal size to work? Are you cracking into a new market where no one knows you? Disruptors are heavy on acquisition and awareness marketing. Preservation marketing is heavy on thought leadership, sales enablement and ubiquity in your market(s). 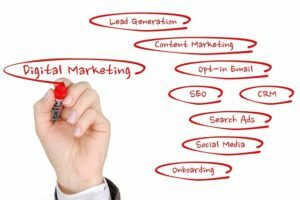 Catch up marketing is heavy on competitive marketing and upstaging your competition. Your spend plan and budget should reflect these strategic goals. Things to Consider When Planning Your Marketing Budget- Your purpose determines your priorities determine your spend. Now that you know that you have to do, you can figure out with your leadership team how much you should invest. Before you settle on a dollar amount, figure out what percent of revenue you should spend on marketing. You’ll want to have a good idea of your CAC (customer acquisition cost), CAC as a percent of LTV (lifetime value), Your revenue runway (timeline to revenue realization) and a sense of DRR (dollar revenue retention) even if you’re not a SaaS company. My personal opinion is that 45–75% of revenues is the right space for acquisition / growth oriented companies with higher percentages going to companies that have more predictable and shorter runways to revenue with strong DRR. 15–25% is probably the right band for preservation marketing companies (this would exclude new market initiatives!). With New market catch up or competitive knock-out marketing, 100% + of the expected revenue for that segment is not too high to break in and challenge the presumptive leaders. But make sure the market you’re breaking into can deliver on the investment you’re making over several years. For this, having a solid TAM (target addressable market) analysis is crucial since it’s your TAM that tells you how high is up. Things to Consider When Planning Your Marketing Budget- Set Expectations Correctly! ROI for acquisition marketing will likely be over several years. Your executive team and board of directors must be on the same page or you’re in for a world of hurt. There are plenty of other examples but these will get you started. Once you have your categories start apportioning spend for the year. The way you apportion spend depends on what you expect the channel to deliver and what your goals are. For this, it is critical to work alongside Sales. Are events great for demand generation and current customer engagement? Or are you simply expected to be present. These will change your spend priorities. Do you have great copy writing, content marketing or marketing automation talent on your team already (or planning to hire for those skills)? Then you can scale back some of that contract/agency spend. Remember, there are lots of firms out there who are happy to help you spend your budget. But, that’s not really the CMO’s problem is it? The challenge is deploying funds in such a way that they Acquire, Amplify & Accelerate. Spending your budget is not your problem. Anyone who starts by asking what you have to spend and then outlining how they can help you spend that number is asking the wrong question and offering the wrong solution. Your goal is the optimal deployment of resources (time & money & people/talent). For campaign planning, I recommend putting together a basic campaign recipe (template) before you begin so you have a good idea on where campaign spend will go (e.g. do you need designers to create web banners? Do you need to allocate PPC campaign funds for 2 or 3 weeks/months?). Then decide how many campaigns you’re going to really do. This is where your campaign calendar comes in handy. For me, I like to work from big quarterly marketing themes down to short & opportunistic sprint campaigns. For spend planning, you need to know if you’re doing 4 or 400 of these. Don’t forget to account for some experimentation in your categories. You should never create a spend plan that doesn’t account for the fact that you don’t know everything. Experimentation is critical to staying agile as a marketer. So have an experimentation line in your spend plan. 10% of a category is usually a good place to start. Then, based on the results of your experimentation, be prepared to swap around funds to maximize the good experiments and incorporate them into your agile marketing plan. Once you have a spend plan, you can socialize it with your executive team. The recommendation is sharing it with your sales counterparts first to get their buy-in. After all, if you’re investing in areas that they wont take advantage of, then why bother? Your goal with socializing the spend plan is to build consensus. At the end of the day, no one gets paid in leads or conversion rates. 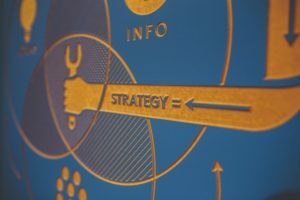 The entire company needs to get behind the marketing plan because, at the end of the day you have one funnel that runs through the entire company. The prospect’s journey transitions into the buyer’s journey which transitions into the customer lifecycle. You’re one company. So, while specialization and focus give you scale, silos must be regularly deconstructed. The executive team is the first place this needs to happen. Knowing how much to spend on marketing is probably one of the most important Things to Consider When Planning Your Marketing Budget. Things to Consider When Planning Your Marketing Budget- Build Consensus Ahead Of Time. When all the heads are nodding on the overall trajectory of your spend plan, put dollars into buckets. Map the deployment of dollars to any regular cyclically or seasonality you have in your business. Do you ramp through Summer and peak in Fall? Make sure your budget accounts for that. Is January a historically slow/low month? Plan spending and activities accordingly. Remember that the details of where and how you’ll spend are important to you, but those details are not important to anyone else (unless they ask). So have a roll-up view of your budget that gives percentage of spend for the year for each of your spend plan categories. I also recommend having a monthly spend breakdown. This helps accounting plan for the year and know how to deal with pre-pays (which we have a lot of in Marketing – e.g. paying in summer for an event in the winter). Now comes the hard part. Your marketing budget is not the only budget out there. Get ready to do some trading. The executive team has the responsibility to correctly prioritize and agree on how resources are deployed for the good and growth of the company. So if you decide as an executive team that it’s more important to grow the R&D headcount then you’ll need to be prepared to cut some of your own headcount expansion plans. It’s rare that all teams get what they have identified as optimal. Things to Consider When Planning Your Marketing Budget- Be prepared to give up some of what you want for bigger, corporate priorities. Ideally, your entire executive team should be making budgeting decisions together rather than one-by-one with the CFO. Budgeting together builds visibility and consensus across teams. Unfortunately, this is rare. So build the agreement and visibility ahead of time and surround your CFO (and CEO if s/he is part of the discussion) with consensus. 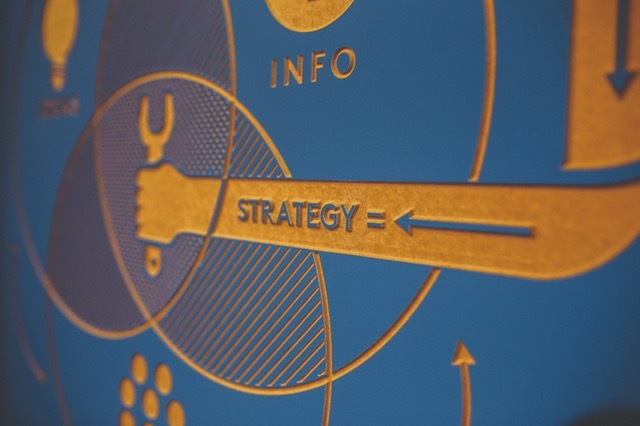 Now that you’ve got your marketing budget and spend plan, execute against it. When things change or opportunities arise, reflect that in your spend plan going forward. Cultivate a relationship with key accounting staff and review your actuals against budget each month. When company performance is up and marketing performance is up, re-engage the exec team to showcase the results of your winning experiment and pitch for more investment in those areas. If company results are down and marketing performance is up, ensure your performance data is correct and get your predictive analytics hat on to show that marketing will pull the company out of the slump in X weeks/months given your runway to revenue. If company performance is down and marketing performance is down, prepare for cuts. And finally, if company performance is up and marketing performance is down, swallow your pride and re-evaluate what you’re doing. The worst is continuing to throw resources at activities that are not producing actionable results. 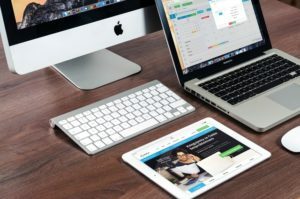 These were some of the Things to Consider When Planning Your Marketing Budget hopefully you´ve found this article useful and can adapt some of the things into your own marketing.